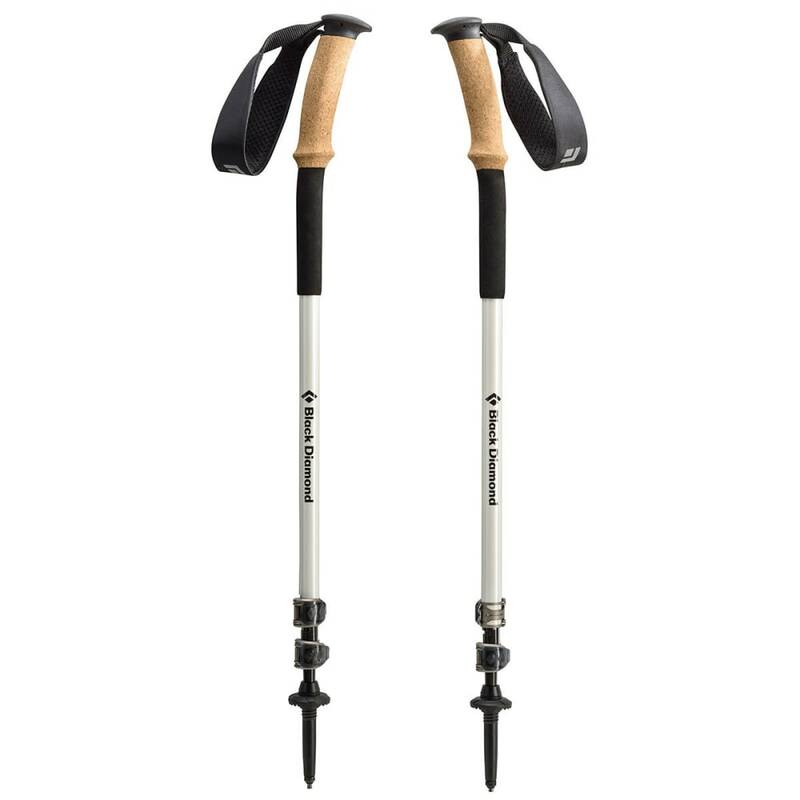 A highly versatile, fully adjustable four-season pole built with premium materials and an ergonomically angled grip, the Black Diamond Alpine Ergo Cork Trekking Pole is ideal for backpacking trips, winter touring, and rugged dayhikes. 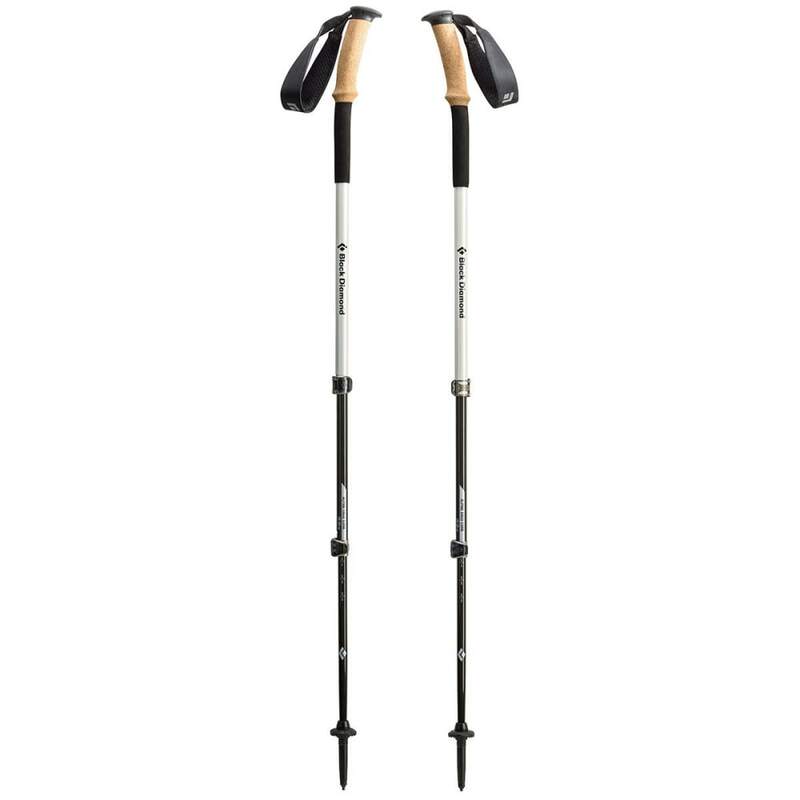 The Alpine Ergo features an angled wicking cork grip for maximized comfort, and also features a durable padded wrist strap and a non-slip EVA extension for quick choke-ups on steep terrain. The 100% carbon fiber lower two shafts offer quick and secure length changes, thanks to dual FlickLock adjustability. Two kinds of baskets and interchangeable Tech Tips allow you to switch between carbide and rubber tips to account for varied trail surfaces.